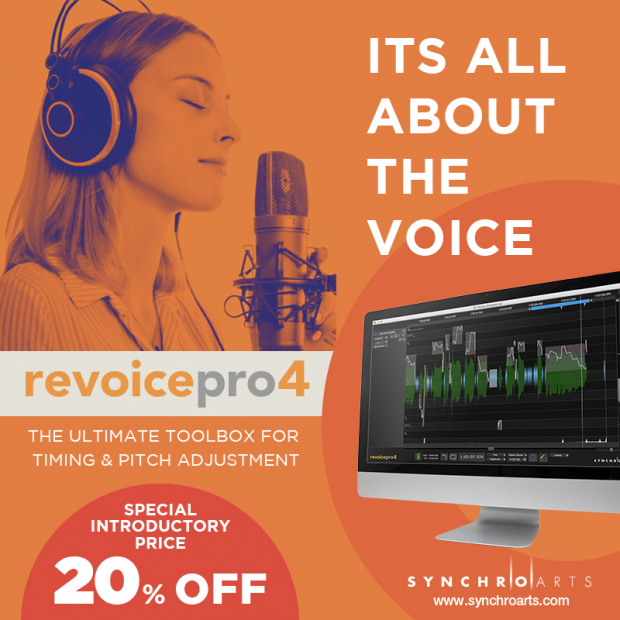 Synchro Arts have extended the special introductory price of $479 (list $599) until December 16th on its Revoice Pro 4. It now has over 70 new features and improvements over the previous version. APT Pitch (and other feature’s) processing settings can be made time-varying (automated). This entry was posted in DontCrack, Plug-ins, Promotions and tagged audio editing, pitch adjustment, Post Production, Revoice Pro 4, Synchro Arts, tightening vocals, timing adjustment. Bookmark the permalink.